The Rapier was considered the Civilians' and the Gentleman's' Sword. It was made primarily as a thrusting weapon and therefore not effective on a battle field. 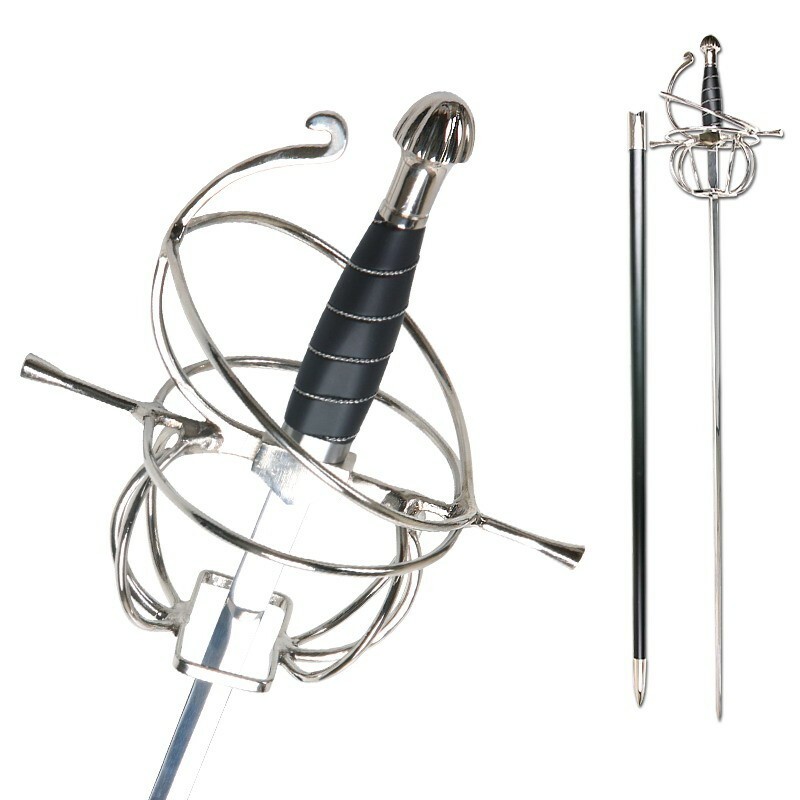 The Rapier began its development during the 16th century in both Spain and Germany. In Spain the single handed sword was known as the "Espada Ropera" and in Germany it was the Pappenheimer. 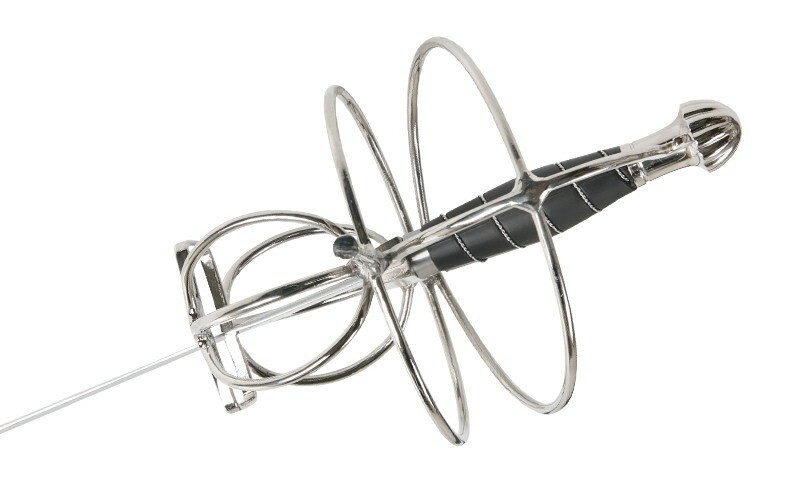 Although, it may seem like the Rapier was an innovation that sprang up overnight it was in fact a long process with many trials and error and as many factors leading to its creation and widespread use. 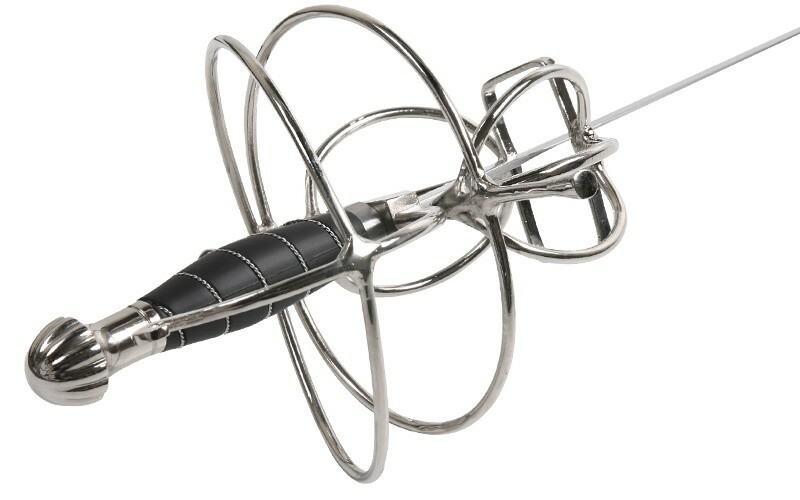 This is a Reproduction of a 17th century German Swept Hilt Rapier. The sword has a perfect balance and, though not authentic, the rubber handle makes the sword very comfortable to use and gives it a better grip. The sword is perfect for collectors, enthusiasts and stage use. Please note, you must be at least 18 years old to purchase this article. Scabbard: The scabbard of the sword is wooden with dull black finish. 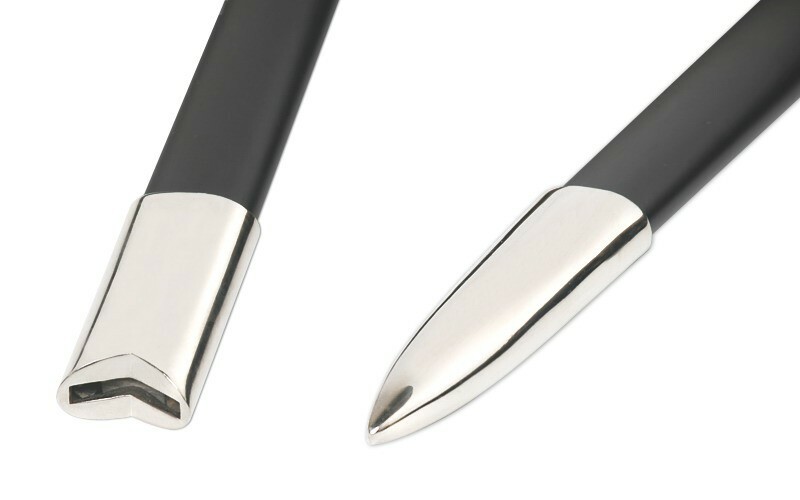 The drag and scabbard throat are both polished steel. Guard: The guard of the sword is intricately built in a swept hilt design with a triple bar loop guard and square fore-guard. 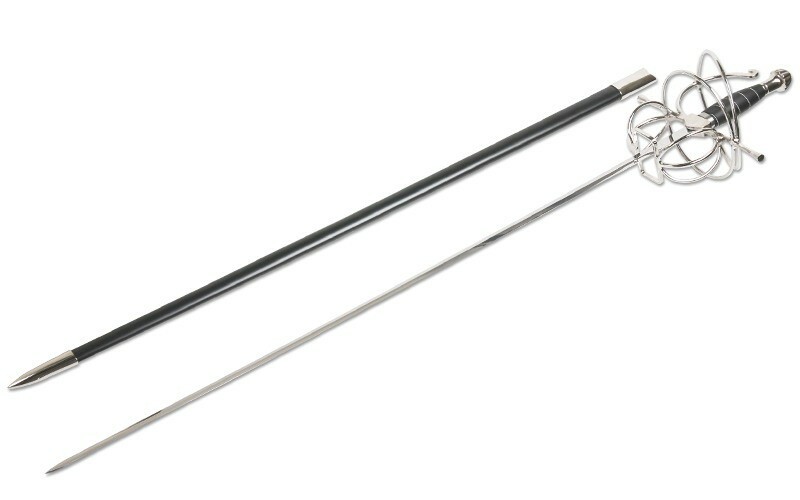 The quillons are a straight cross bar design with the knuckle bow attached just below it. The knuckle bow is attached with two additional guards and ends with an s-shaped tip. Overall Length: 110 cm, 43.5 "
Blade Length: 92 cm, 36.5 "
Handle Length: 15,5 cm, 6 "
Guard Length: 22 cm, 8.5 "